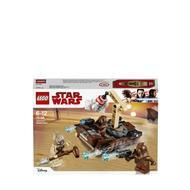 - Includes 3 minifigures: 2 Jawas and a Tusken Raider, plus an astromech droid. 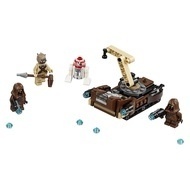 - Features a service vehicle with 2 stud shooters and an articulated crane to pick up the included astromech droid. 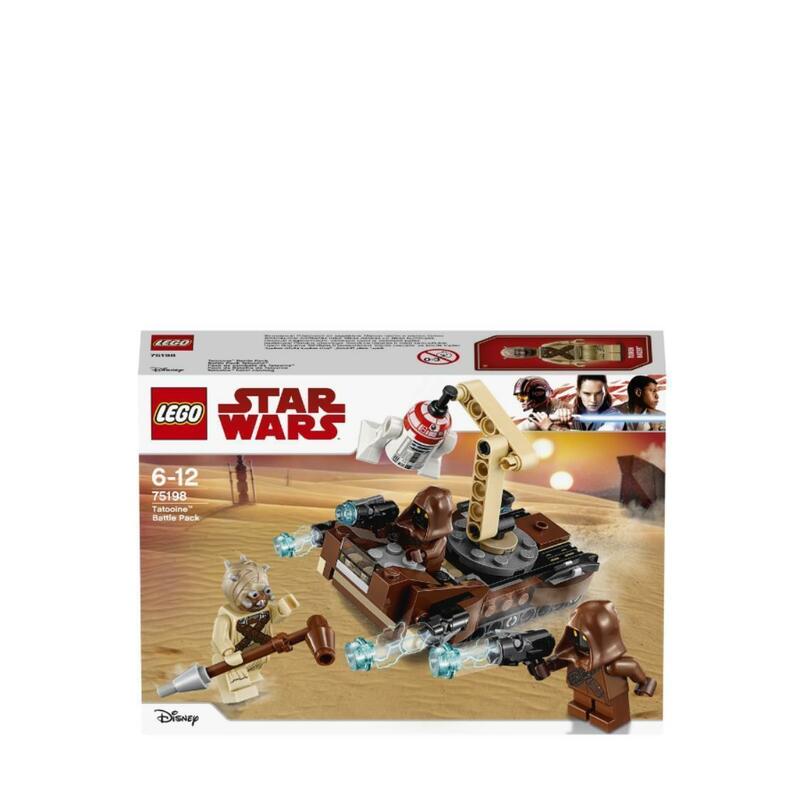 - Weapons include 2 stud blasters for the Jawas and the Tusken Raider's gaffi stick. - Recreate your own desert-planet scenes from Star Wars: A New Hope. - Service vehicle measures over 2” (7cm) high, 3” (9cm) long and 2” (7cm) wide.